Bavarian Lederhosen male costume to purchase. Ideal for Oktoberfest or for your next Beer Hall visit this October. Costume consists of 2 pce lace up collared shirt and Bavarian inspired adjustable suspender lederhosen shorts with printed embroidery. A real show stopper of a costume. 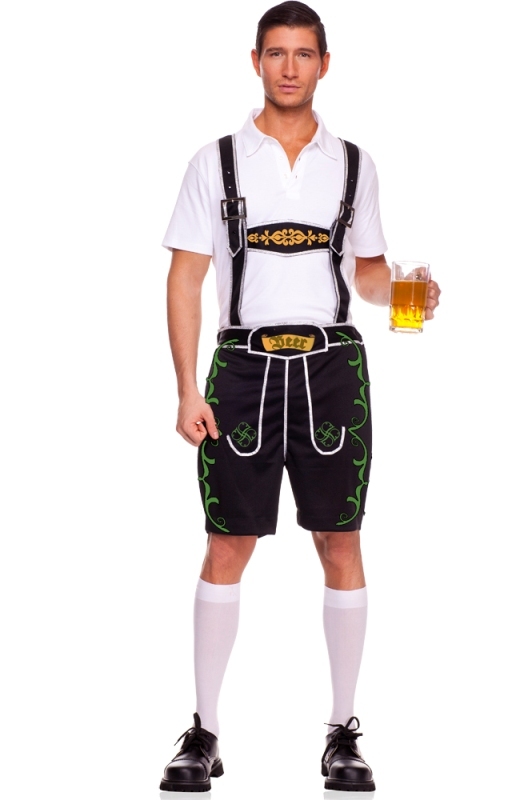 Enjoy any Oktoberfest party in great costume style. Check out our guide on how to dress for Oktoberfest.